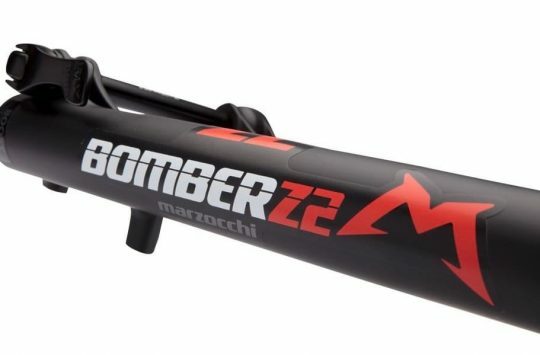 … and here’s how it works. 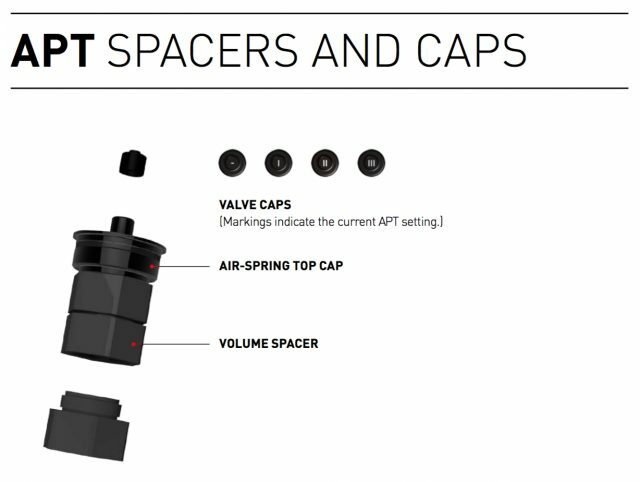 A replacement top cap and volume spacers! As well as shipping with new O.D.L. 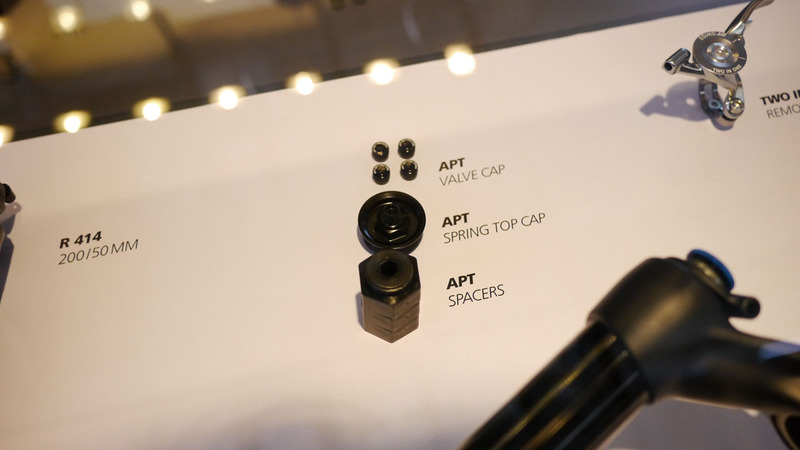 forks, this top cap and spacer arrangement will also be available as an upgrade to existing O.D.L. forks at DT Swiss service centres. 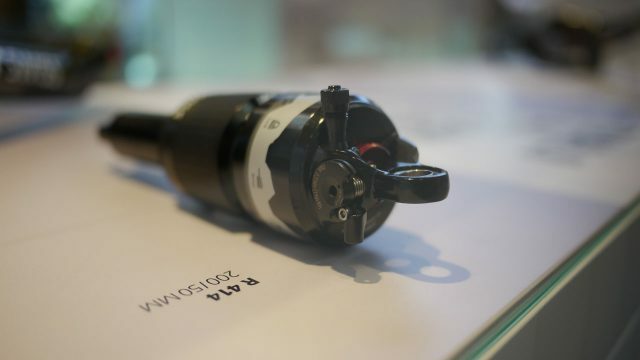 A very shiny dual remote for controlling fork and shock lockout simultaneously. The O.P.M. ODL forks, 130mm travel and the new APT system included. Prices start at €899, going up to €1199 for a remote ready version. 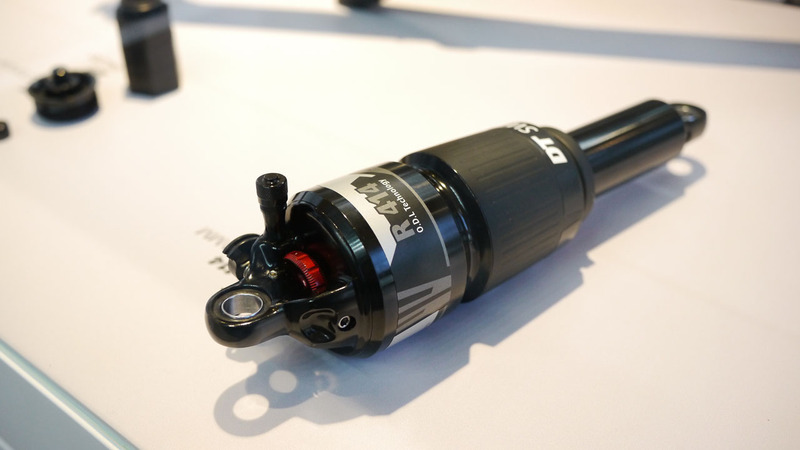 This is the new R414 shock, which DT are pitching to everyone from XC to enduro racers, but on the stand they emphasised the latter. 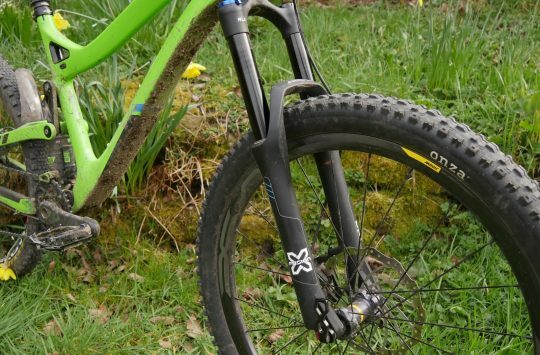 While their forks are becoming more progressive, they’ve designed this shock to be a bit more linear. 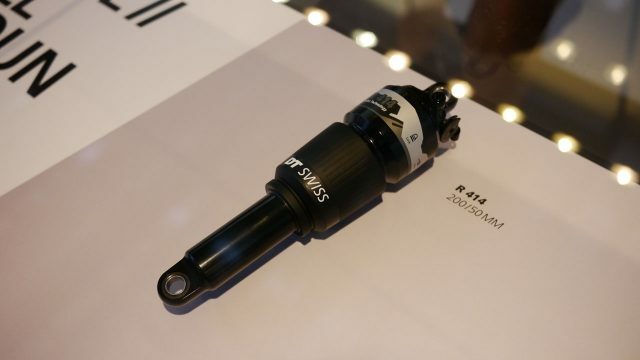 Weight is 250g. 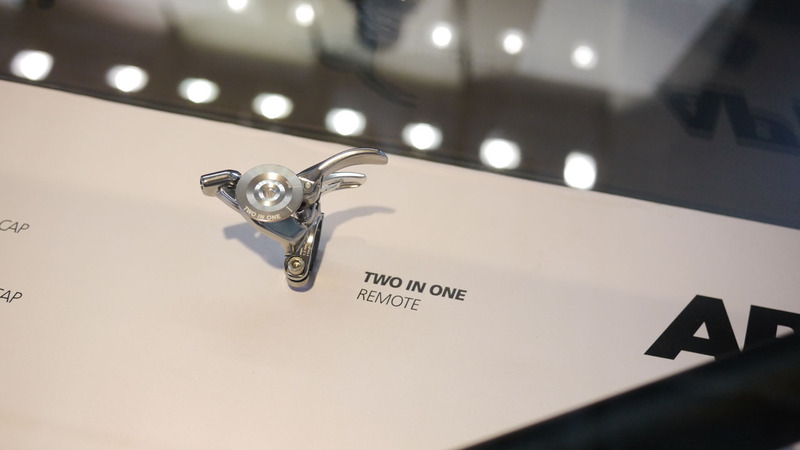 Prices start at €379, or €429 for a remote ready version. 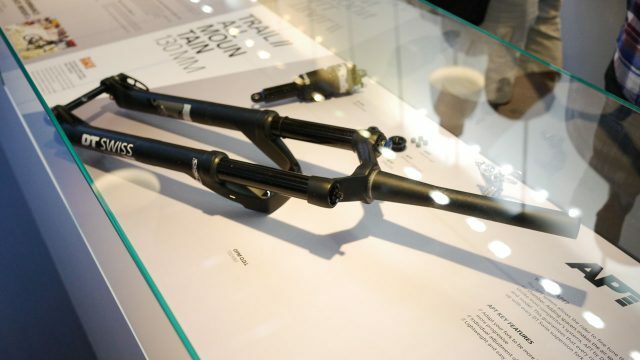 Not a new fork, but, mm, lovely carbon. 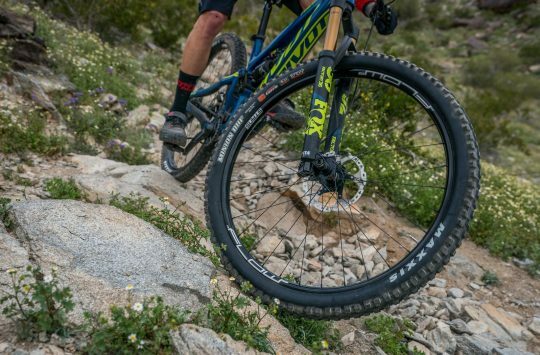 As well as new suspension, they’re going a bit wider in the rim department too. EX511 and M502 get an internal width of 30mm. 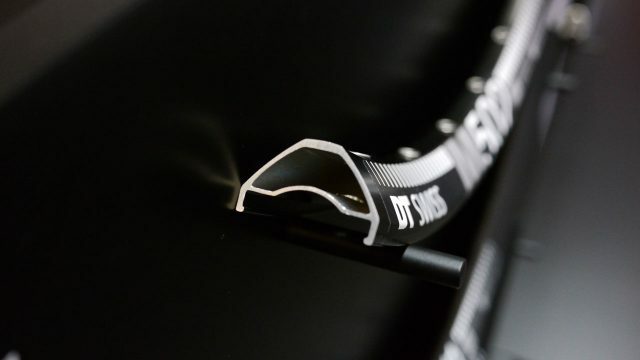 Also, not pictured here as some of the stand labelling was a bit misplaced, but they’ll soon be doing rims with up to 40mm internal widths for plus tyres. 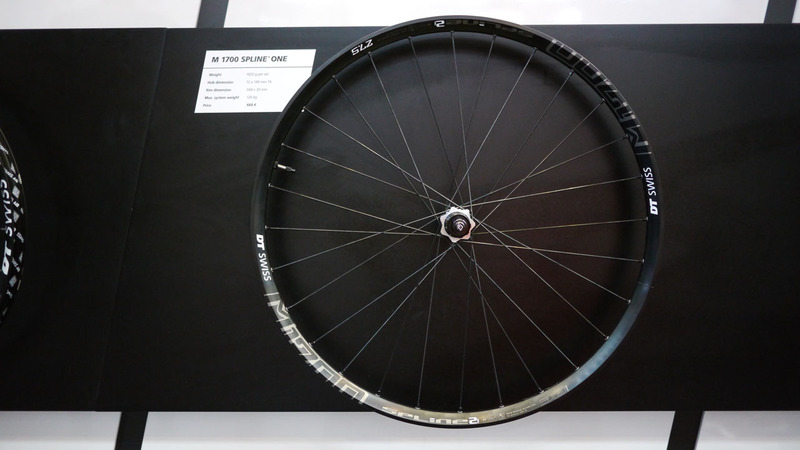 Despite the labelling, this is actually one of the new Spline Two wheels, which will have an internal rim width of 30mm, and weigh 1820g per set. 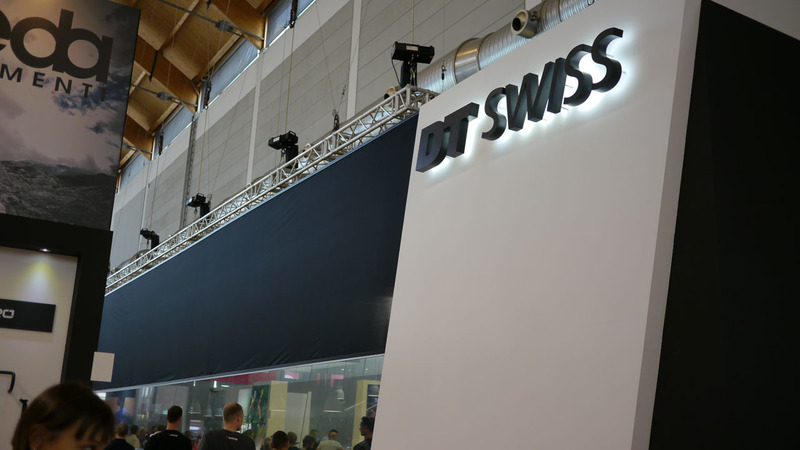 If there were a Eurobike prize for “Most Bond Lair-esque stand”, DT Swiss would’ve won it this year. 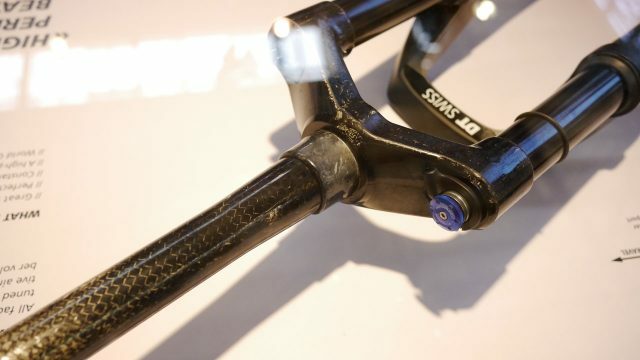 X Shifter: Wireless Shifting For Your Existing Gears?